Home DestinationsEuropeUKC2C / Sea to Sea Conquer the Coast to Coast! 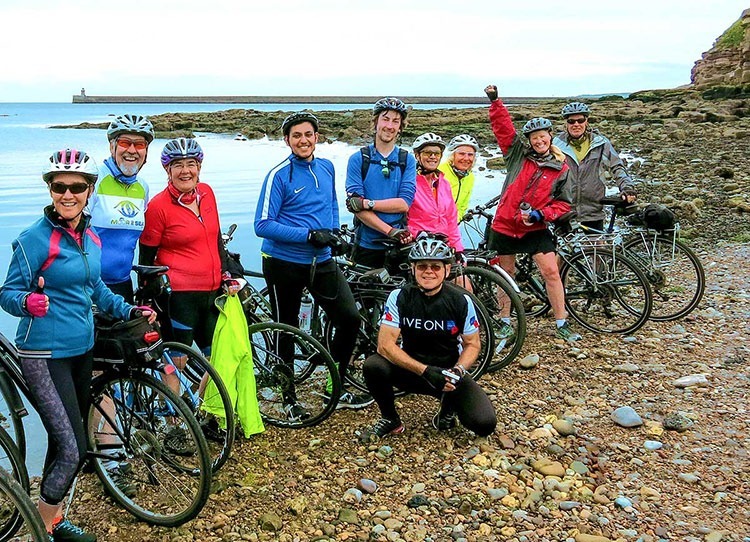 Stretch your cycling goals this year and take on the North of England’s most famous two-wheeled challenge — the Coast to Coast. Travel along the northern frontier of the Roman Empire, starting and finishing at either end of Hadrian’s Wall. You’ll experience fascinating historical sites such as Birdoswald Fort and Vindolanda, as well as the hard-to-beat beauty of Cumbria and Northumberland. Cycling trips don’t start much prettier than at the shoreline of Loch Lomond. You’ll journey across the Scottish highlands, open moorland and alongside the incredible Grampian Mountains. Historic sites of battles and ancient castles come as standard, as does the beautiful wildlife. NEW TRIP! We’re bringing you the best of three ancient times as we journey from the Roman Empire along Hadrian’s Wall, to the Viking and Norman conquests on Northumberland’s coastline, and the border country where the raiding Reivers once roamed. Looking for more cycling holidays in the UK? Click here and in seconds you’ll have details on all of our Best of British cycling holidays.